Scottish singer-songwriter Fraser Anderson will play a solo acoustic showcase at the BBC Club in London on 26th November to celebrate the first full release of his album 'Little Glass Box'. Tracks from the album have already featured on BBC radio courtesy of Bob Harris and Zoe Ball. 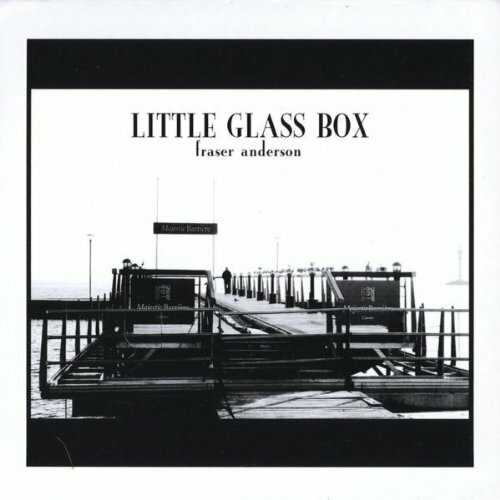 The album was recorded in France and initially manufactured by Fraser himself and sold at shows while living in that country, 'Little Glass Box' will now receive a welcome reissue on Membran Records as the first release in a new partnership with the company. The BBC Club is situated on the junction of Great Portland Street and Gildea Street next door to Western House in London W1A 1AA. Entry is free and Fraser will take to the stage at 7pm. The aforementioned BBC Club show will be followed by a full band performance at the Voodoo rooms in Edinburgh on December 4th. Further shows in Glasgow on January 24th and 31st at the prestigious Celtic Connections 2015 have been finalised will full details to follow.